I began meditating at the age of 16 in 1993 in South Africa. I wasn’t looking for a lifelong path – who is at that age? – just something that could offer a deeper perspective to life’s challenges. You see, often we don’t realize our inner needs, because we are taught that development means the pursuit of wealth, outer growth and material development. I didn’t realize the liberating impact it would have on my life, or how meditation would harness self-development from an inner level. 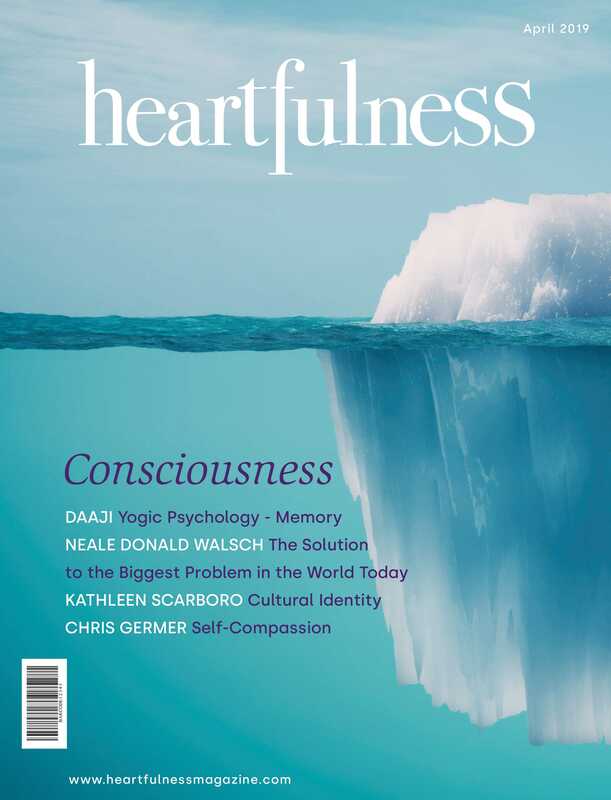 Fortunately, the simplicity of Heartfulness Meditation allowed me to adopt it easily into my hectic daily life as an adolescent, and it wasn’t long before I began noticing changes on all levels. Tune In: Once I learnt how to meditate with yogic Transmission, which is the specialty of Heartfulness, I was able to meditate literally anywhere, anytime. As an adolescent, I used to meditate in the taxi and sometimes do the cleaning practice on the bus coming home. I didn’t have to go anywhere; I didn’t need a charging station (like modern gadgets). The relief I felt from a natural regulation of my heart and mind allowed me to prioritize things more easily and I began to feel positive and enthusiastic even when I faced challenges. On a deeper level, I also noticed that by tuning into ‘me’ I was gaining inner strength, patience, empathy and tolerance in a natural manner. It wasn’t something learnt or that I had to strive for, it just happened, and it was nice to witness this flexibility of character helping my relationships blossom. Inner Radar: What I loved most and still do is that I’m not dependent on outside props or people. Instead, the practice tools allow me to tune into myself and find solutions and inspiration from within, from my own inner radar. I have learnt to navigate problems in a more dynamic, creative way through an inner perspective, and happily transcend them. How does this happen exactly? Well, when I shifted focus from the mind to the heart, the space and stillness inside was nurtured and from that space intuition, solutions, creativity, perspective, and shifts in attitude developed. That brought a transformative angle to dealing with the outside world. The uniqueness of this approach is that we each get guidance that is relative to our own needs, situations and circumstances, from within, creating a pathway to transcend limitations. Our inner consciousness then begins to create a heightened self-awareness and purpose to how outer experiences can help in self-development. I was able to prioritize my life experiences, norms, unnecessary emotional and relationship bondages and external socio-cultural limitations, so my spirit began to feel lighter and liberated. It is quite empowering to have that inner freedom to shift the outer experiences and to be able to transcend them even when things seem awry. One Stop Shop: We all love a one stop shop, don’t we? Jokes aside, today’s society is all about finding more, finding it all, and finding it quickly. With Heartfulness, you will find that less is more. The simplicity of the practice is attractive and fits crazy work-life schedules. What I love about it is that there are no dos and don’ts. By meditating regularly, a natural balance and regulation occurred in my activities. Things I was struggling to let go off fell off, and I was able to welcome the new just as easily. The cleaning technique helped me develop my will more. The release of daily baggage allows me to unplug the mind and be present in the Now. There’s no force, no authority, other than my own heart’s guidance. It regulates my system, emotionally, mentally and physically, for inner well–being. In that sense, Heartfulness beats the one stop shop, because it’s free and caters to all levels of life. The fine print: what you put into it by way of self-effort is what you’ll get out of it. Navigating Change: Heartfulness has allowed me to make changes in my life, at a quicker pace, because I developed a resilience and inner flexibility to perceive things differently. What does this mean in practical terms? We are our own magnifying glass. When we point that inward, the pause that is created by silencing the mind shifts our consciousness into a higher realm, a realm beyond the mundane. This allows us a greater lens of perspective on how to manifest change, beyond the challenges of the circumstances in front of us. We can use that to our advantage to grow. That new perspective allows us to thrive with change, instead of being thrown off balance by it. Thus, we remain deeply in the NOW, enlivening our experience with newness and wonder. The reasons above are applicable and relevant to anyone, and are still relevant in my own journey. I continue to explore the infinite potential within my own heart and witness it’s manifestation outside me unfold. It’s as simple as this: Connect, tune in, develop your inner radar and be at one with yourself to navigate change, the Heartfulness Way. Download the Heartfulness Let’s Meditate App to connect anywhere, anytime remotely with a trainer, to experience meditation with Transmission. If you’re more interested in a group setting, you can find the nearest Heartfulness Center at http://heartspots.heartfulness.org/.